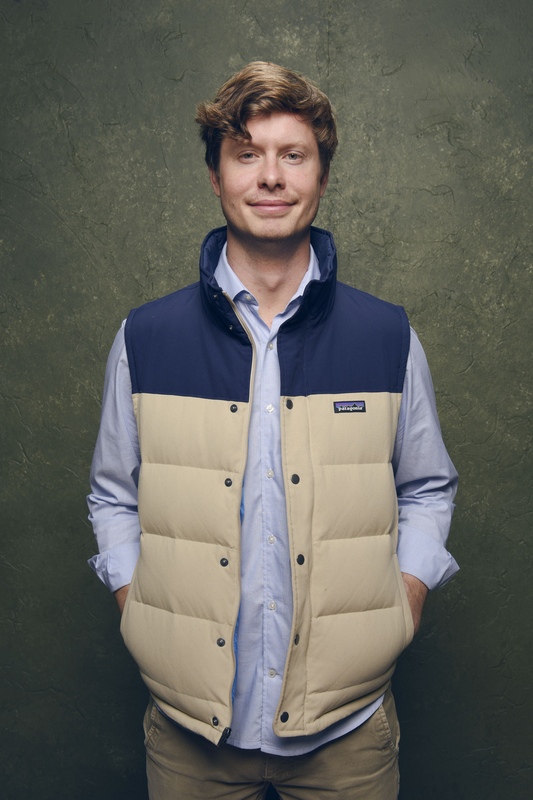 Anders Holm has become ubiquitous in comedy. His roles have ranged from Pastor Casey in The Mindy Project to Jake in The Interview to his best-known role as Anders in Workaholics. In the actor's most recent film, the comedy takes a bit of a backseat, however, as Holm and co-star Cobie Smulders navigate pregnancy in Unexpected (out now) in a much more serious, and less... revealing way than the star's fans might expect. I, for one, would have it no other way, but I guess I see his point. Unexpected isn’t necessarily a departure from what Holm is known for, as much as it is an evolution. His character, John, is still the light-hearted figure in the film, but he also very much marks the next step in Holm’s career, with the actor using the drama of his personal life to inform the role. “I just had a son, and everything in the script was basically straight out of my life and conversations I had had with my wife,” Holm says. Of course, he couldn’t welcome Smulders to Chicago without getting some deep dish for her. Yet while their off-screen adventures may have been filled with fun, Holm and Smulders' on-screen antics are much more serious. As the title implies, Unexpected revolves around a pregnancy that was not anticipated by the parents, Samantha and John (Holm). For Holm, the new take on a pregnancy film was something he relished when first looking at the script. “[The movie] does have this new perspective on pregnancy movies. It’s always the guy and the girl arguing like, ‘How are we going to do this, you don’t understand me, you’re crazy, you’re not understanding this,’ which is in there because it’s such a relatable narrative,” he says. Unexpected isn’t above featuring the funny cravings or the painful fights that often familiar to pregnancy-related movies, but it also includes a more serious side missing from many films about having a baby. The film's female focus is powerful and important, and gets its lead actor's strong seal of approval. “You want to hear two women talking about pregnancy,” Holm says. As for his own unexpected moments in life, Holm looks back on his entire career.